Well, the VMA’s are tonight, and as you well know, the VMA red carpet is known for it’s risky, over-the-top, and hardly ever classy, fashion. Good old Buzzfeed has done it again-They’ve gone into the VMA image vault to give us 27 Things from the 1999 VMA’s that we Might Have Forgotten. Honestly, we MIGHT have forgotten them on purpose. 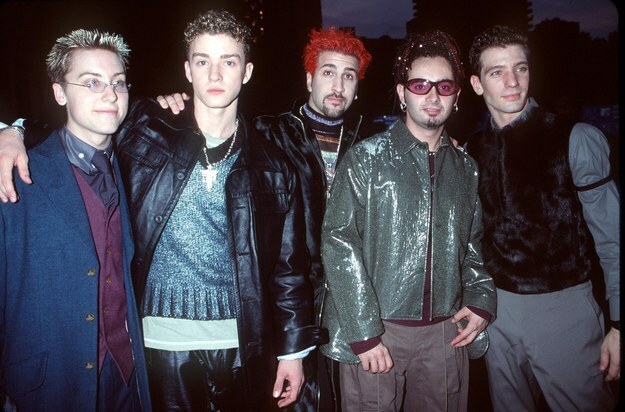 This set of images reminds us that we were making REALLY BAD fashion choices in 1999. Even JT is pushing taste boundaries in head to toe leather. Let’s just try to do better tonight, shall we?